This post is the latest part of a checklist designed to help you choose the best index trackers for your portfolio. By reviewing the checklist whenever you need to buy a fund, you’ll hopefully find it easier to compare all the trackers jostling for your attention. Part one of the checklist dealt with some of the fundamental questions you need to answer when buying a fund, while part two focused on the all-important costs of ownership. Now we’re peering into the darker corners of the factsheet to look at some of the more overlooked stuff that can affect investing performance and the risks you’re exposed to. How long has the fund been around for? The longer it has been hugging its benchmark like its long-lost mother, the better. Five years as a bare and unsatisfactory minimum. 10 years plus is more like it. Don’t choose a new fund with an unproven record. Sadly, you’ll be hard-pressed to find many trackers with a longer record than five years, but that situation is improving every year. 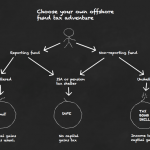 Choose trackers with reporting fund status to avoid gains in off-shore funds being treated as income tax rather than capital gains tax. (There’s no need to worry about this wrinkle if all your investments are safely tucked up in ISAs or SIPPs). Your fund’s country of residence can lead to you paying excessive levels of withholding tax. Your fund is based in the UK, Ireland or Luxembourg. No income is paid – for example, if it’s a commodities fund. Beware that ISAs and SIPPs offer no protection from withholding tax. A large fund with lots of investors is less vulnerable to withdrawals by any single investor. Small funds are more likely to get wound up if investors flee, and the fund falls below the critical mass required by its creator. In the case of ETFs, a larger figure can also suggest a more liquid fund that will help keep trading costs down. Funds that pay dividends can automatically reinvest them into buying more units to fatten up your total holding for the future, or else pay them straight into your account as a steady flow of income. 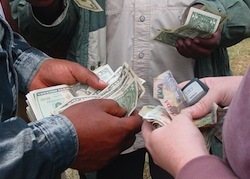 Many funds report in pounds, while their base currency is euros or dollars. But the reporting currency is nothing more than a presentational convenience. It’s the base currency that counts when it comes to currency risk. 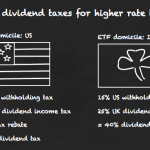 Make sure your fund is UCITS approved. UCITS is a series of guidelines that set certain regulatory standards for funds sold in the EU. It’s not a belting read but, among other things, UCITS lays down the law on niceties such as counterparty risk, conflict of interest management, and the amount of information funds are required to disclose to retail investors. Most fund providers owe allegiance to their shareholders rather than to their customers. The customers only own a stake of the company’s funds, after all, whereas shareholders own the business! The result is a fundamental conflict of interest between the fund providers’ aim to maximise profits at the expense of their customers and your goal to minimise costs at the expense of their corporate profits. Though this battle is most fiercely fought in the active fund market, passive investors can limit the risks of exploitation by clocking the ownership structure of fund providers. Mutual – The company is owned directly by its fund shareholders. The interests of company and shareholders are thus aligned like spooning lovers. Only Vanguard answers this call. Privately owned – Conflict of interest is a real and present danger but at least the company isn’t hostage to next quarter’s corporate earnings. Fidelity and Dimensional Fund Advisors are notable private concerns. Publicly owned – The most common and least desirable state-of-affairs. Baying shareholders demand CEO blood if profits aren’t pumped and customers squeezed. 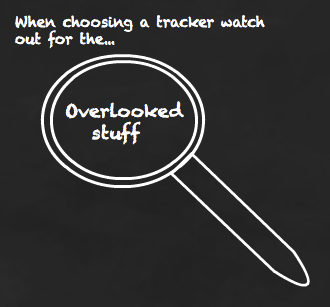 I don’t worry if I can’t find my perfect tracker based on all the criteria included in the checklist. Taken together, the entire rundown is a belt, braces and elasticated waistband approach. Still, it’s worth knowing which factors are in play, and which represent the best choice of index tracker for you. A few extra wrinkles remain, but they only apply only to ETFs. We’ll cover them in part four of the checklist. Nearly there! 1. Hi TA, As ever, thanks for this. 2. One quibble: the issue of fund ‘track record’. You say: “Don’t choose a new fund with an unproven record.” However, you were/are happy to buy Legal & General Global Emerging Markets Index Fund, aren’t you? This fund, as you know, was only launched late 2010. 3. 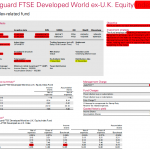 The power of the Legal & General (index fund) brand? Hi Alex, if you’re referring to its presence in the Slow & Steady portfolio, well, there really isn’t any other choice if you want index fund exposure to emerging markets without catching trading costs. While the above are good guidelines, most investors find it hard to live like a monk. In regards to dividends, is it the norm for index trackers to pay/accumulate dividends, or do most not give them out at all? @Kanine – Trackers generally come in two forms, often called Inc or Acc, with the former paying out the dividends and the latter rolling up the income into the capital value of your investment. In BOTH cases you are entitled to and get the dividend income, it’s just a matter of how you receive it. Trackers would be very bad value otherwise — and they’re not! @Kanine – look at the ‘Fund facts’ in the link you provided: ‘Income treatment – Accumulation’.